Hear Rod Smith's speech titled "Entrepreneurs Are Big Dreamers". Come at 8:15am to meet Rod Smith before his speech begins. Join us in the Broncos media room at Mile High Stadium for a special event with Bronco's legend Rod Smith! In a speech titled "Entrepreneurs Are Big Dreamers", Mr. Smith will relate business success to his rise from poverty in the projects, to Super Bowl stardom and his successful post-NFL business career. We are excited to also offer a VIP Meet & Greet experience with Rod Smith before he speaks. Space is limited, so register today! Rod Smith is an American football legend. He played his entire 14-year career with the Denver Broncos, and his first NFL catch was a last minute 43-yard touchdown from John Elway. 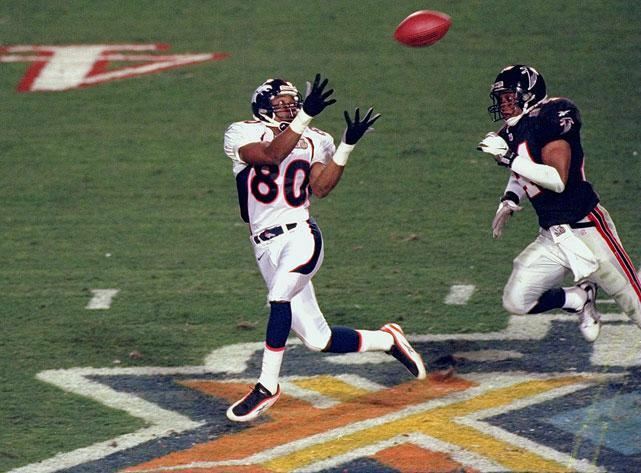 As a starting wide receiver, Smith helped lead the Broncos to consecutive Super Bowl championships in 1997 and 1998. He is ranked 22nd in NFL history in career receptions and 26th in receiving yards. Against all obstacles, he climbed out of the projects in Texarkana, Arkansas, earned a full scholarship to college, joined the Broncos as an undrafted free agent and ultimately worked is way from the practice squad to become the Bronco's leader in career receptions, receiving yards and touchdown catches. He shares his inspirational story and secrets to success in his book called "The Rod Effect", to be released this fall.